Nelson works predominantly with photography but also incorporates installation, film and performance. She’s been working as an artist for over 20 years and her work has been featured in many prestigious publications and galleries and private collections around the world. She produces deeply personal photographic essays and is also currently working on a life long project called This Wild Song. “This Wild Song is a life long project I created in 2012 to celebrate the wealth of talented artists practicing in Australia and address gender equality in the arts. It’s a series of conceptual photographic portraits of Australian women artists who have a unique voice. The theme of the portraits is for the artist to become a part of their work but also capture an honest portrait of the sitter. 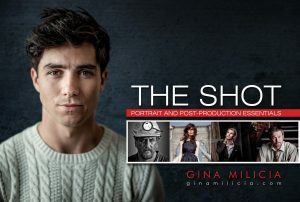 How a small personal project grew from photographing 10 artists to a lifelong project involving hundreds of artists and exhibited in Australia and internationally. The importance of side hustles.